You have found the car of your dreams, now let our finance specialist show you just how affordable it can be. We have relationships with some of New Zealand’s leading financial institutions, which supported by our straightforward application process enables us to secure the very best deal for you. A deal that best suits your budget. All you need to do is complete our straightforward online application form and we’ll take care of the rest. You are welcome to use our online application form in the comfort of your own home to gain an idea of what repayments might look like. There is absolutely no obligation to proceed however we would encourage you to chat with us as typically, the strength of our relationships result in a sharper plan for you. Mike’s Cars is one of a very few certified AA Appraised Dealers in Dunedin. So make the most of this by viewing the AA appraisal on the vehicle of your choice. 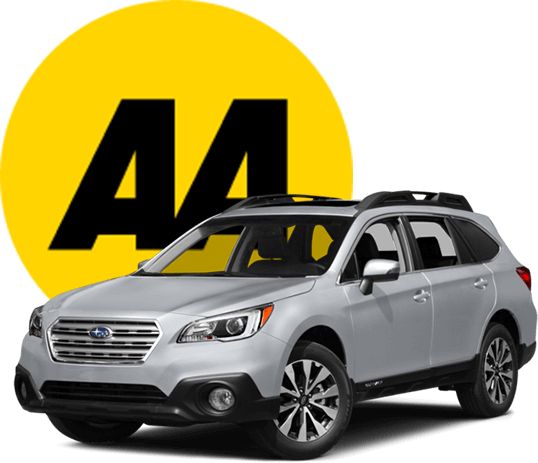 An AA Appraised used car has undergone a 43 point mechanical check by the AA to give you extra confidence when choosing a second hand vehicle. The comprehensive vehicle appraisal focuses on mechanical and safety aspects of the car and provides an overall evaluation of the vehicle. Mechanical and safety defects (if any) are highlighted in the report, so you'll have a good idea of the car's mechanical state. Autosure is NZ's most trusted name in mechanical insurance. Backed by Vero and with service shops nationwide - you have absolute assurance that regardless of where you drive your vehicle, if the unfortunate happens, your vehicle can be quickly assessed and remedied without a fuss. Our specialised warranties include road side assistance with the AA, accommodation supplement, loan car or rental car service, 24 hour service 7 days a week support. Mikes Cars has a range of insurance options available to you to ensure you have safe and hassle free motoring with up to three years cover on some vehicles. Listed below is just a summary of some of the products we offer. Please click on the ‘Read more’ links to gain a better understanding or feel free to contact one of our friendly sales consultants to find out more. Mikes Cars sell a great range of quality used cars including TOYOTA, MAZDA, SUBARU. Mikes Cars have a range of car finance options available from low to no deposit. In 2017 Mike secured the Isuzu franchise for Dunedin and Otago and now supplies the range of 14 D-Max Utes and the 7 Seater SUV, The MU-X. Free delivery around the South Island and you will not find any cheaper rates than what we have available for the North Island. So call now to discuss how we freight your next car to your door. We are very experienced at selling cars nationwide and regardless of where you are we will make your purchase a truly satisfying and delightful experience. Mike’s Cars is a Dunedin owned and family operated business. With a lifetime passion for cars and motorsport, Mike is fuelled by the desire to prepare and sell quality vehicles in Otago and NZ wide. Competitive vehicle financing through Mike's Cars, where we work hard to make your vehicle buying experience as hassle free as possible. If you're looking at buying a new car, we can take your current vehicle as a trade-in and we'll help you decide on the right car for you.